Intermediate. 12 of the world's finest standards done in the popular Latin Jazz style. A refreshing departure from the typical swing and bossa styles which have dominated jazz in the past. 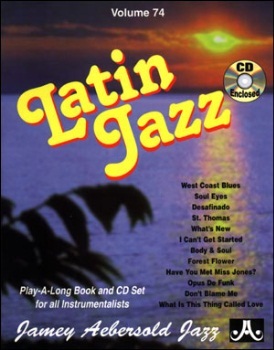 This set will invite you to experience playing with an authentic Latin rhythm section over the chords to popular standards.